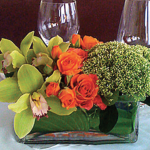 Wisteria offers a wide range of floral services for the workplace including weekly arrangements for lobby areas, special gifts for corporate clients, and floral arrangements and table centerpieces for catered events. Corporate florals are priced individually. Personalized Birthdays, Anniversaries, Thank-You’s, Get-Wells, Holiday celebrations, expressions of condolences - and so much more - are created daily in The Studio. Each Wisteria floral arrangement is custom-designed - created with the freshest plant material available from local gardens and selected local markets. 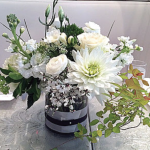 Stephanie handpicks her flowers to ensure quality, freshness and color. 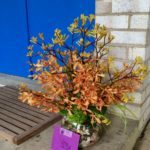 Arrangements start at $85.00. Local deliveries are available at additional cost, priced by zip code. 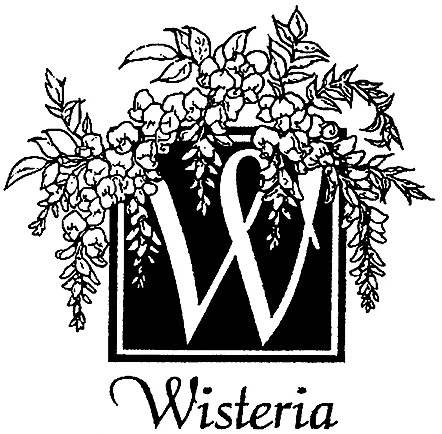 While Wisteria specializes in custom floral designs for Weddings, we also are well-known for unique floral designs for parties celebrating all occasions, as well as Bar/Bat-Mitzvahs and funerals. Call us for a telephone consult. "Flowers...are a proud assertion that a ray of beauty out values all the utilities of the world."